In 1990s Chicago, old friend Greg Dunlap and I had a 4th of July tradition where we served sweet explosive revenge to all the computer equipment that had given us grief that year. There was never a shortage. Pizza box PCs with flaky mobos, monitors on the blink, maddening mice, PC keyboards whose backslash keys were broken (think about that for a minute, DOS users), stubborn routers: each was queued and dispatched with extreme prejudice using the finest explosives the neighboring State of Indiana could offer. Greg has since moved to Sweden, a nation where displays of a less militant sort are commonplace. For example, rather than use gunpowder to take out frustrations relating to living in the Arctic, Swedes instead gather in the darkness to construct idealized models of a society that while intricate and delicious, would not survive a serious coffee spill. You can take the software engineer out of the US, but can you take the US out of the software engineer? Is it unreasonable that Greg, upon facing this year’s hardware irritation, might feel just the barest twinge of homesickness for the recreational (and other) explosion capital of the world? Of course it’s not unreasonable. Which is why the fine people at Data Center Knowledge put together this awesome video Gallery of Exploding Servers available with merely a click. Assuming the mouse works, I mean. Recently, I had this client who sought me to do some SEO copywriting on a website. The client was in the business of putting their clients’ products on the web, and they wanted someone who understood how SEO works to look at the copy on their website, write some new copy and edit the existing stuff for SEO. So I took a look at it, and gave them the estimate that they asked for. But I didn’t stop there. To stop there would have been dishonest and technically incorrect. Because they had a problem. The site was implemented in Flash (I love Flash, don’t get me wrong), so no matter how I changed their copy, no search engines would have noticed. The reason is search engine indexing software can’t read into Flash files, which means that if you use Flash and don’t provide your copy outside of the Flash files, Google, Yahoo et. al. will not understand what the site is supposed to be about. And this is surely what was already going on. After one year on the web, the site’s top page had a lowly Google PageRank of 1 and when I was done with what they wanted, they would have ended up with a PR of…1. So, separate from but attached to my estimate for the SEO copywriting work, I explained to them why the work would not O the site with any SEs. In very brief, plain, nontechnical, helpful English, I explained the situation and let them know that I could help them with fixing their problem as well as doing the SEO copywriting. Readers experienced in business are smiling right now and already know how this story ends: my technical correctness cost me the project. By not doing exactly what was asked of me, and by failing to pretend that what I was doing would have an effect at the search engines, I threw a wrench into the works and scared people. Had I simply shut up and okey-doked and pretended that what I was doing was changing something, a payday would have resulted. This is far from the first time this has happened to me. You could say it’s a long-running theme. As a company, we did okay, but not great, and it was my fault. It was my first business and I thought our value was in knowing how to fix problems that people didn’t even know they had. I couldn’t have been more wrong. What was wanted from me was not evangelism, or solutions, or wisdom. What was wanted was service, and not in terms defined by us, either. Thus were we regularly hobbled by my technical correctness. I had little understanding of client relations and strove for elegance and profound change instead of closing deals. Given today’s SEO story, you’d think I have no more understanding now. But the fact is, this time I knew very well I was taking a risk of losing a payday by being technically correct. I knew the risk and I did it anyway. I did it because for better or for worse, I still believe toiling away on nonsense that isn’t getting anybody anywhere is better done by people who don’t know any better. There are plenty of them out there, and I shouldn’t take away their livelihood. If that seems glib, so be it. Consider it my Christmas gift to the economy. A small sop to ethics as we wade in the cesspool of the free market’s meltdown. Sure, it’s similar to hanging an air freshener in a sewer, but as with the Christmas tree: he who smelt it, felt it. You’re not going to believe this, but there was a time, before the omnipresent internet, when commercial software makers held back product releases while they rigorously, expensively tested their products. This didn’t eliminate bugs, but it did tend to push software makers harder to at least aim for perfection before they got the release out the door. The fixed costs in issuing patches by snail mail, to say nothing of the user grumbling could really hurt a publisher. To say the least, the aim is lower now. Today’s testing budgets are smaller even if the user bases are bigger, because the paying customers, all of whom are internet-connected, have been enlisted to do more of the testing. All those patches released one after the other for download contain fixes discovered by anguished complaints from paying customers as well as by the maker. Under these conditions, the pressure to reduce testing budgets for consumer software is obvious and growing. Is software documentation headed in the same direction? Consider YouTube’s recent call for user documentation videos of YouTube’s own site features. 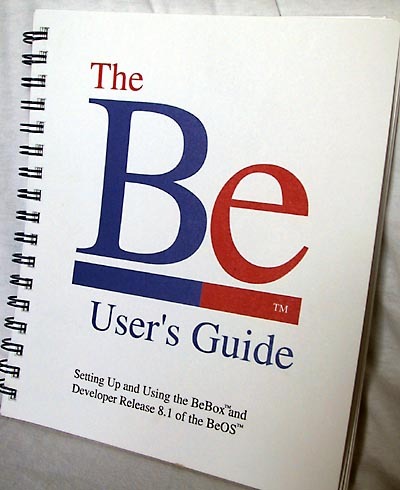 While user input on documentation is absolutely de rigeur for many if not most open-source software projects, is this the direction the commercial software world is headed? Yeah, probably – but only as long as the software in question is 1) fun to use 2) not filled with embarrassing bugs that will make embarrassing videos. In other words, the bulk of the market for traditional documentation isn’t going to disappear. In honor of my joining the Society for Technical Communications, it’s time to debut a new RW370 category dedicated to technical writing: RTFM. I took on a couple of projects for some hardware engineering outfits to develop installation guides, manuals, supporting animation and video too. W00t. 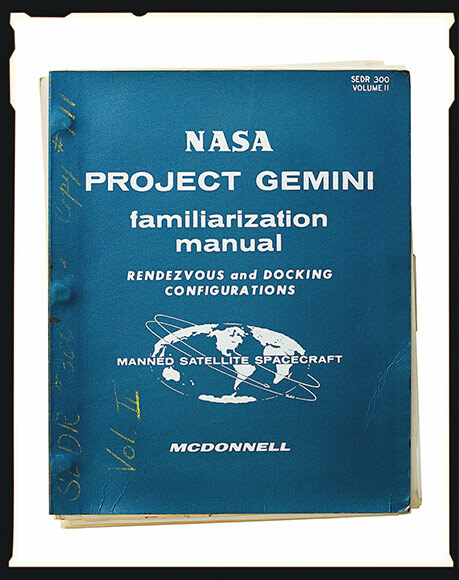 There’s no point in a category without a payload, so dig these awesome relics of instruction courtesy of Wired. I think I was eleven or twelve when childhood pal Alan Buchbinder left on vacation with his family for a week and let me borrow his Atari 2600 while he was gone. I played that thing until I made myself sick, and that’s not an exaggeration. I flirted with epilepsy, dehydration and starvation, and that was only the first day. Why so obsessed with the 2600? Well, somewhat due to the exciting cartridge packaging. 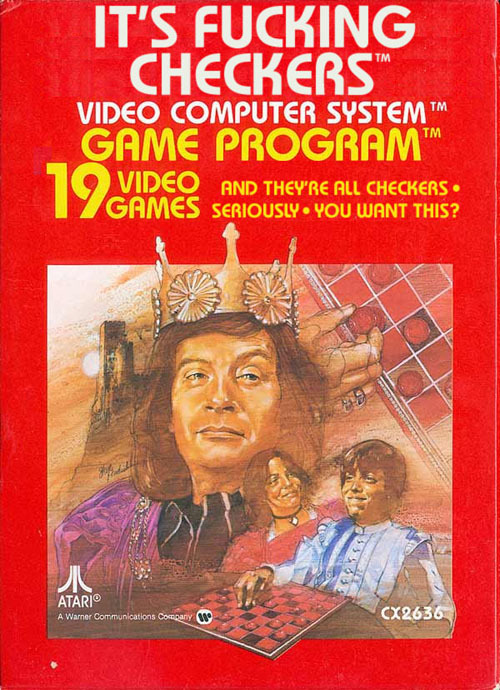 These were always painted tableaus of drama, espionage, military conflict, dragons and kings – hilarious already since the games themselves were rendered in flickery 8-bit boxes you shoved around using a joystick. Apparently, this guy has a different, considerably more awesome recollection of the game titles. 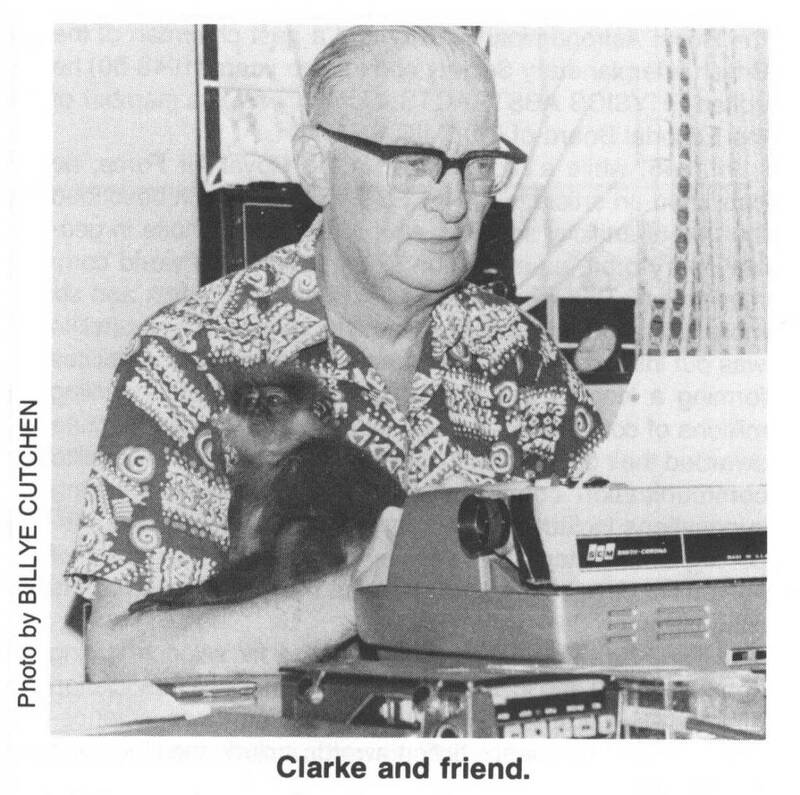 We are lucky that Arthur C. Clarke, inventor of the geostationary orbiting satellite and author of genre-defining science fiction works such as Childhood’s End, Rendezvous With Rama and 2001: A Space Oddysey was born when he was. Had he been born later, it is possible that some of the finest works in SF would have been snowed under, rendered indistinguishable from the slush pile left by the online blizzard of typing we today navigate. Be thankful that his words met their paper medium in a forceful collision of metal and ribbon. If he were blogging instead, would he (and we) have recognized his ideas as indelible narratives of the celestial frontier? I doubt it.